What about access for all? How do I get to Old Down Country Park? 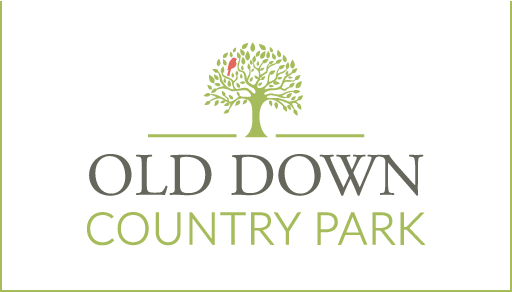 Can I bring my dog to Old Down Country Park? Can I have a birthday party at Old Down Country Park? 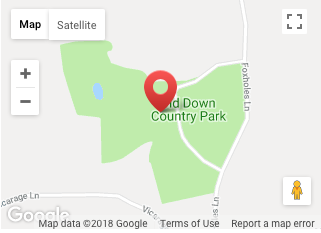 Is Old Down Country Park at the same place as Old Down Manor? Do I have to pay park entry to use The Barn Cafe? It's really important that our facilities suit all visitors who choose to enjoy a day out with us. Whatever your requirements when visiting we will do what we can to meet them. If you have any specific needs, do call us on 01454 414081 where we will be happy to advise. Limited Mobility Visitors or Wheelchair Users. Ground level access throughout the centre of the Estate (our walks to the lake may not be suitable). Ramps into the shop and ground level access into the Barn cafe. Disabled car parking spaces at the front of the car park. Disabled toilet facilities are located opposite the Barn Cafe. Carers go free - with a valid proof of identity to show that the accompanying person is a carer. If this is not possible we will offer a concessionary rate. Blind and partially sighted visitors. Our park is fully family friendly! Baby changing facilities are located in the toilets opposite the Barn Cafe. Breast feeding friendly. If you require more privacy do let us know and we can accommodate you. High chairs available in the Cafe. Child friendly nourishing meals available in the Cafe. From Bristol and the South exit the M5 at Junction 16. Take the A38 to the traffic lights at Alveston (near Thornbury). Turn left towards Thornbury at the Hyundai Garage then take the next left, opposite The Ship Inn pub. Go along the road for nearly two miles, and turn right opposite a football field (follow the brown sign to Old Down Estate). Take the second entrance to The Estate on your left. From Gloucester, the Midlands and the North, exit the M5 at Junction 14, follow the A38 to the traffic lights at Alveston (near Thornbury). Turn right towards Thornbury then take the left opposite The Ship pub. Go along the road for nearly two miles, and turn right opposite a football field (follow the brown sign to Old Down Estate). Take the second entrance to The Estate on your left. From South Wales use the old Severn Bridge exit the M48 at Junction 1 (immediately after the Bridge) and follow the signs to Thornbury. After passing through Elberton, climb the hill and turn right into Foxholes Lane at the top on a sharp left hand bend. Old Down Country Park is situated on the right hand side half way along the lane. You are welcome to bring well behaved dogs but they must be on a short lead at all times and we ask that you clear up any mess. Of course you can! Just go to our birthday party page for more information. No, you do not need to pay park entry to use our Cafe. You are welcome to sit in our cafe or enjoy our outside court yard area at the front of the cafe by our Manor House.